You may have seen them on social media. The picture symbols that represent words or messages. 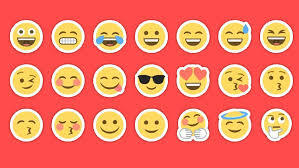 Emojis are a type of shorthand that the younger generation is especially using these days, but they are easy to understand by just about everyone. That’s what South Carolina Highway Patrol Seargent Bob Beres is banking on. He understands that not everyone speaks the same language, and yet emojis are symbols that are universal. He is using this form of communication to get the message across about drinking and driving. Everyone knows that drinking and driving are something no one should do, but highway and road signs can be difficult to read – especially at high speeds. He came up with a great way to communicate the message that is quick and easier to read. By using this form of communication in everyone’s community, the message is clear and easy to read. Beres hopes this new way of communicating the message will help people understand what drinking and driving will lead to. Since the younger generation uses these symbols quite often, they will surely be able to understand the message, and Beres hopes it will lead to fewer arrests. The Powell Group encourages you to learn about emojis, their meanings and the newer street signs conveying the message. While in our area, you may also view any of our available homes. Our team members are here to answer all of your questions and concerns to help you and your family stay safe in your home.